I've always heard of Papparich outlets from friends and colleagues, but personally I have not tried it myself, until today. The weather today was looking really fine, and it so happened a few friends invited me for lunch with them. We decided to test out the Papparich Cafe branch at Sri Rampai near Wangsa Maju. 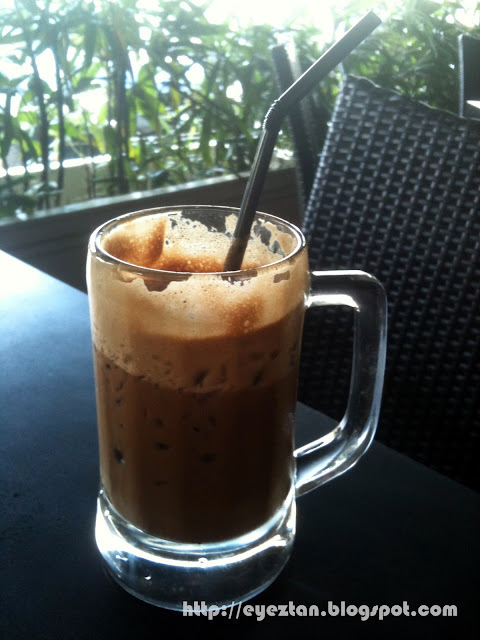 We arrived at the Papparich branch at Sri Rampai after a short 10 minutes drive, and the first thing that hit me was, Papparich looks very similar to Oldtown White Coffee. From the seats, to the colour scheme of the whole cafe, if not for the signs indicating the differences, I would not have been able to distinguish between these two franchise. Forgive me as I did not take a picture from outside the cafe showing how it looked like. I thought of getting some pictures off the net, unfortunately I couldn't get suitable pictures. The menu that was given to me had an "old" look to it, I'm not sure if it looks old due to the number of patrons flipping through it, or it was by design. Have a look below and tell me what do you think. My friend recommended me to take the nasi lemak. 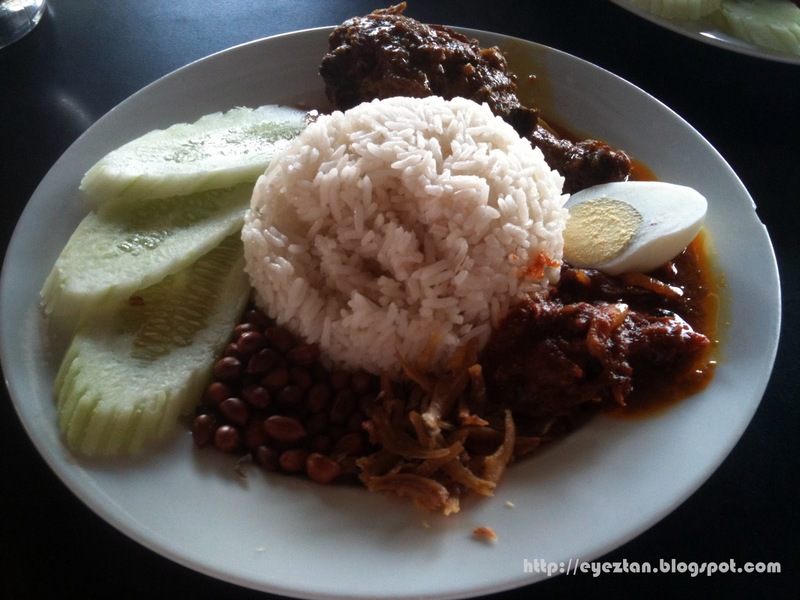 It was named Papparich Nasi Lemak. One thing I noticed from the menu was that everything inside has the word Papparich attached to it, for example Papparich Kuey Teow and Papparich Mocha. The nasi lemak itself was good, the chicken tender, and the sambal was savory and just enough spiciness in it. The rice had a very nice fragrant to it, and "lemak" enough. One gripe was there wasn't enough sambal and we had to request for more. To complement my heavy and calories laden meal, I ordered the iced mocha drink. It was sweet and frothy enough. Not a bad drink, but slightly to the bitter side. 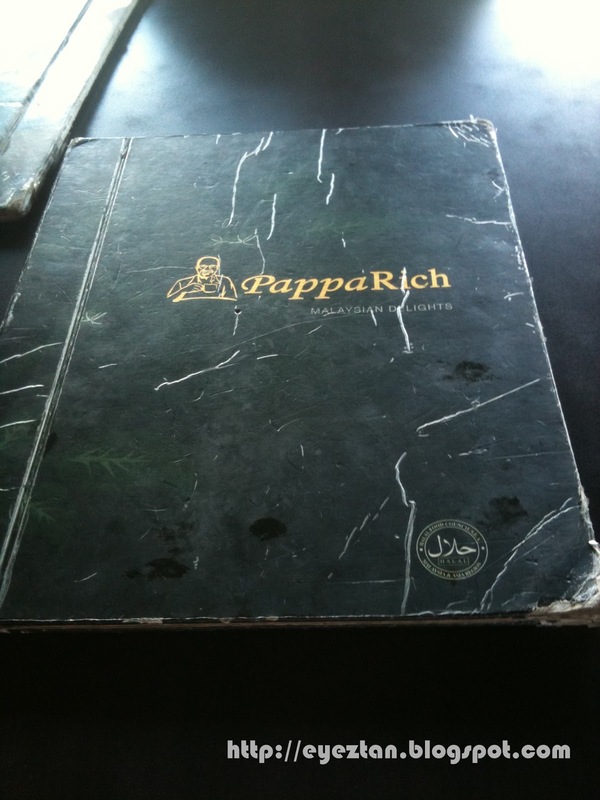 Overall a good meal, and for a first timer like me to Papparich, I do not have any major gripes, except maybe for the slightly slow service from the waiters. This was probably due to the number of people there during lunch hour. I am unable to reveal the prices here because of the simple fact that my friend who brought me there paid for the meal, I did not know the exact price. Reached back the office after lunch break with a full and happy stomach.